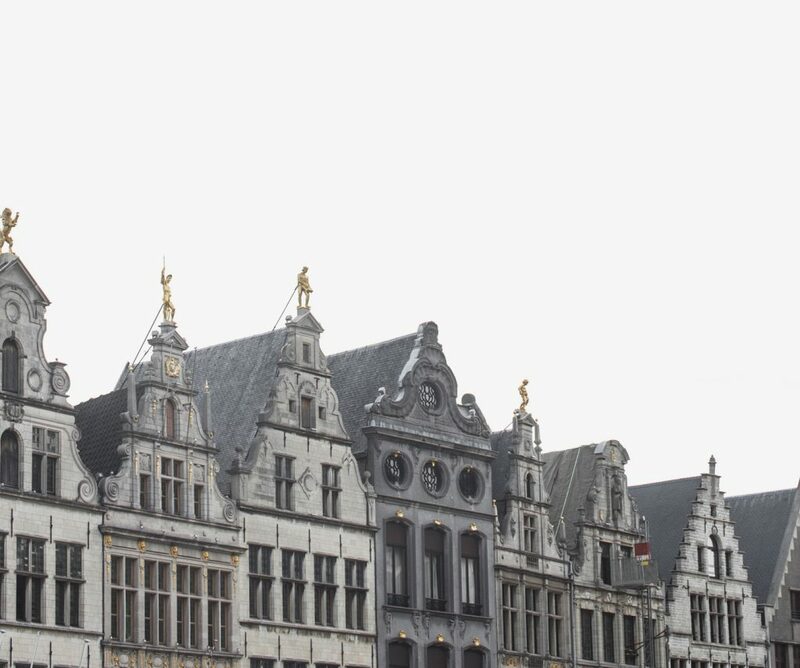 Antwerp, the City of diamonds, is the very source or all our stones. You want to visit Antwerp and buy diamonds from the source, but you don't have the time? While being quite accessible, reaching the city it is still quite a journey. Why not then buy diamonds from Antwerp online? 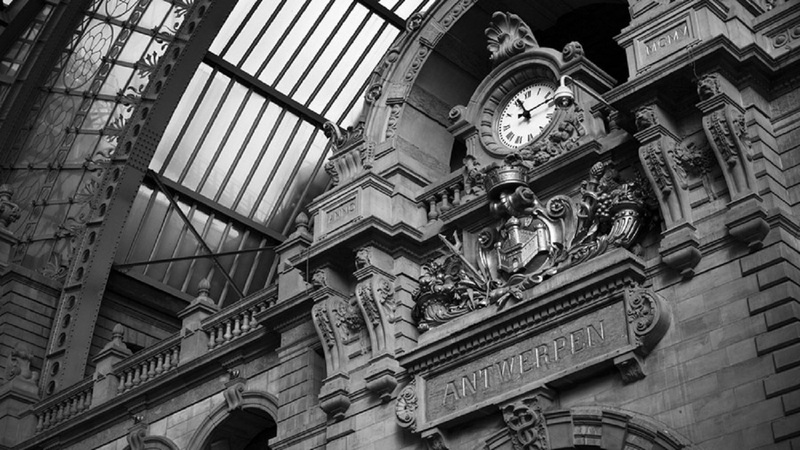 Buy diamonds in Antwerp online with our step by step guide. Purchasing diamonds is much more than going to a website and picking the first thing you see. There are so many unique attributes about diamonds that you need to understand and how they relate to the quality of product you are looking for. In that case, before you go shopping take some time to research and learn about diamonds, the major attributes that they come with, and the things you need to look for when you are buying diamonds. In case you find any difficulty with this, feel free to Galeries du Diamant and get all the information you need. Please contact us and we will guide you in the complicated task of buying a diamond in Antwerp. It is also important to go knowing what you are looking for. Part of the research that you should do involves understanding different diamond options available and seeing if they align with your taste and preferences. This will make it easier for you to purchase diamonds in Antwerp because you will have a clear idea of what you want in the market. We will never stop repeating this, every diamond must come with its Diamond Certificate. The certificate is a report that provides all the information you need about a diamond. The report offers a list of all attributes that are associated with a given diamond and it will come handy in helping you understand fully what is available and how much money it costs. The grading certificate often provides details about the diamond color, cut, clarity, and carat. These are the four major factors that determine quality in any diamond and you can see why the report is really important. Look for HRD Antwerp diamond report, which is produced in Antwerp. How many years has the dealer been in business? How secure is their transaction? What kind of variety do they have? What is the physical address of the seller? Are they reachable? What are the shipment procedures? Are they safe or not? You can never take any chances with the diamond dealer and at Galeries du Diamant, you can easily get quality handcrafted diamond rings and other jewelry safely anytime. Just come by and we will answer all your questions! At Galeries du Diamant you can pick your diamond from Antwerp online and come look at them here in our Paris or Antwerp store before making your final decision. 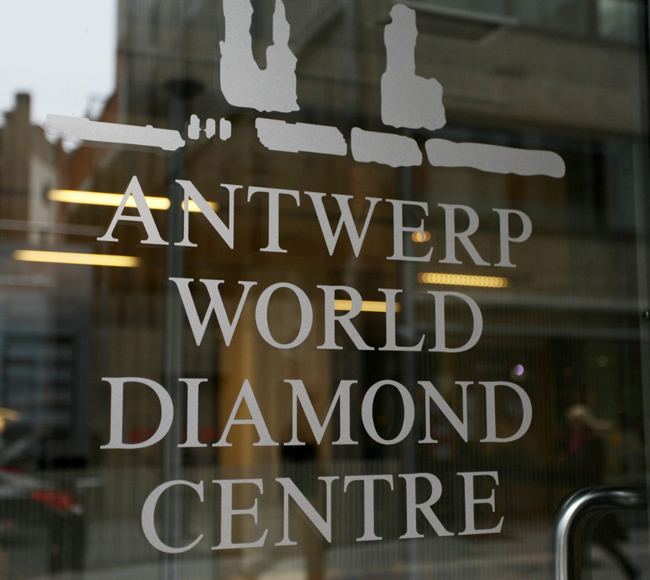 Antwerp World Diamond Centre is where all the diamonds come from! Although the idea of buying diamonds online seems to be very convenient, it has one limitation. The thing with diamonds is that you cannot truly tell whether they are good or not without seeing them physically. Buying online does not offer you that chance and it’s absolutely necessary to buy from a online diamond dealer where you can physically inspect the diamond. Be very careful, if prices seem so cheap, there is a reason. Always remember, if the deal seems to good to be true, most of the time it is so. In case you still want to buy online, ensure you are buying from a trusted source and only diamonds with clarity better that VS1. At least this will provide some level of guarantee that the diamond you are buying is good enough. It’s simply not enough to look at the grading report. As much as it’s important, you need to verify it to make sure you are not getting a bad deal. There are so many online diamond sellers who don’t provide genuine reports and if you don’t verify, it can be easy to get into a fraudulent deal even without knowing. In light of this, the idea of verifying the report through HRD Antwerp lab site is therefore very important. My HRD Antwerp is a secure, 24/7 online service that provides global access to the HRD Antwerp grading report archive. Or use our tool FIND MY CERTIFICATE and verify your HRD Antwerp report quickly and easily. The laser inscription, the true stone's ID, is a unique number that is assigned to each diamond after a grading report is done. 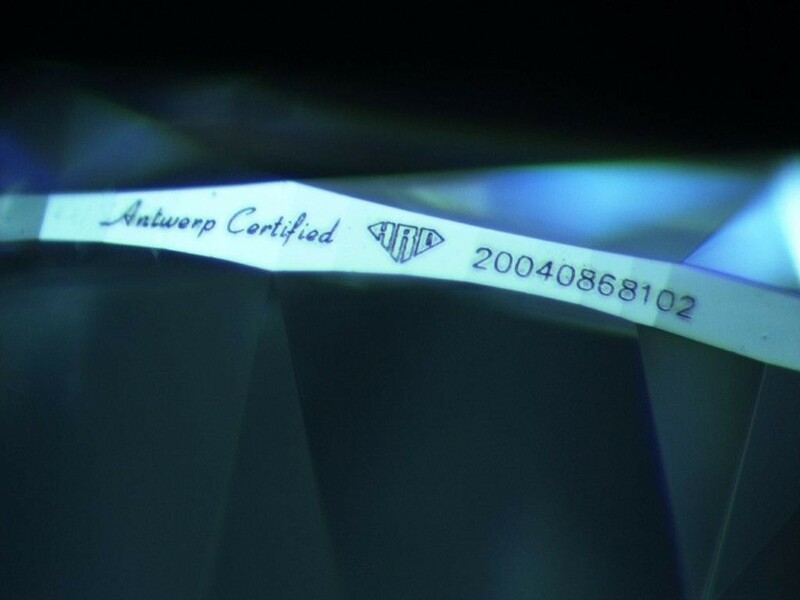 The certificate number is often written on the grading report but for ultimate safety, it is important to find the laser inscribed number on the girdle of the diamond. Take a look at and compare with the number of your grading report, these numbers have to match This will ensure you are not duped into buying a fake stone that does not look the same as advertised by the dealer. 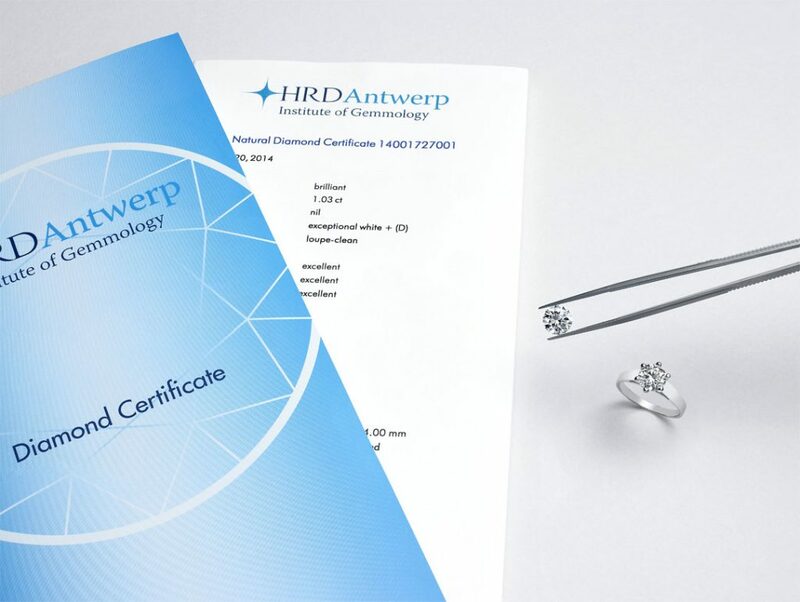 All diamonds of Galeries du Diamant are HRD Antwerp-certified and each stone will have a unique serial number that has to match that on the certificate. This guarantees authenticity of diamonds all the time. The laser inscription, the true diamond's ID. It is also important to know the different payment methods available on the online dealer. In most cases the goal is to have a secure and simple payment method. The most common payment method used by online dealers is the credit card and it’s actually safe compared to many other options. However, you want to choose a dealer that offers a diversity of secure payment methods that are applicable to your situation. Finally, you may also want to take your time before purchasing diamonds online. It’s so easy to get amazed by the very different options available but even then, try and sleep on it before you make a decision. Even if you see a diamond ring that you like, let it sink and wait at least a day or two before you decide to buy. Buying quality diamonds from Antwerp online is possible and looking at the many dealers available, it should be easy for you to get what you need. Whether you are looking for a diamond engagement ring or diamond jewelry, the tips above are important in ensuring a seamless experience for people who want to purchase diamonds in Antwerp online. 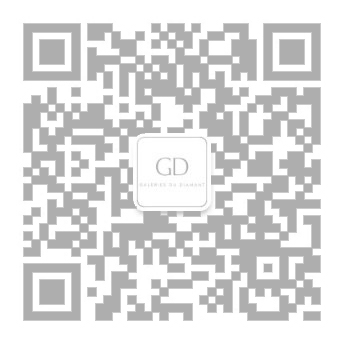 Let our experts at Galeries du Diamant guide you and get the best of your online diamond shopping!